This penultimate creation built by notable father and son design team, Ralph and Ross Anderson, is extraordinary. They shared a vision for this premier waterfront and were unfettered in both budget and authority – only their design aesthetic guided the building process. As you approach the home by land or lake, you notice it is enrobed in copper. The exterior includes a copper roof, gutters and deck railings – and then the property itself is wrapped in copper and concrete. The patina of the exterior exudes a richness in tone, and foreshadows the excellence that awaits within. The Andersons didn’t spare expense on the finishes, from the rabbet joinery throughout – even in the marble – to the VG Douglas fir millwork. 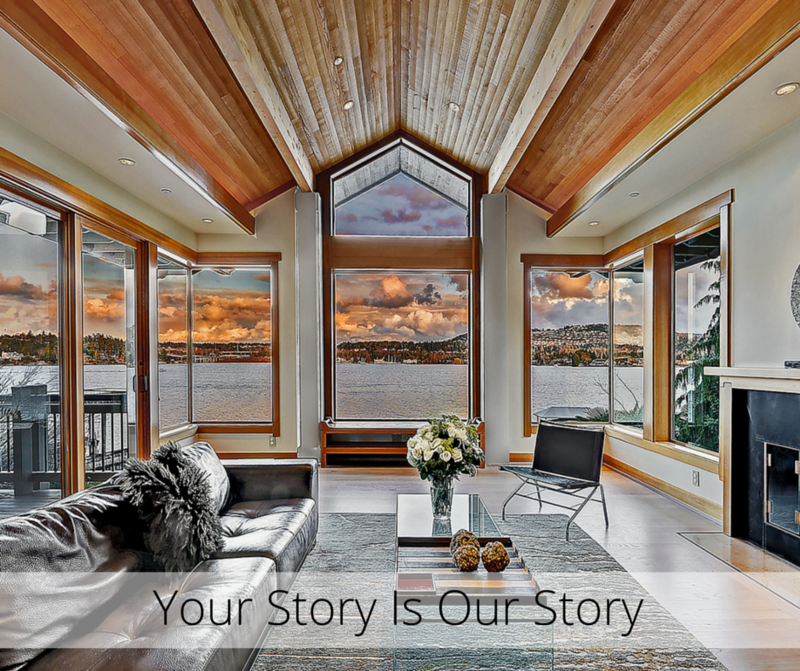 Fir wrapped windows invite the lake vistas inside, and clear cedar cathedral ceilings offer airy, warm spaces to gather. These luxurious finishes are Ralph Anderson’s signature design elements, all intended to enhance the remarkable display of view and light. You feel as though standing on a peninsula. His take on these Pacific Northwest elements defined his career. With 80 feet of prime waterfront on Lake Washington, the outside areas received as much care as the interior. 4 view decks, granite boulders and crushed granite walkways surrounded by lush landscaping, covered outdoor rooms and the level lawn that flows out to the sandy swim beach with the lake beyond. The entertainment sized dock with yacht lift, generous side moorage and dual personal watercraft lifts creates a yachtsman’s paradise. Ralph and Ross Anderson set out to create something truly remarkable. Mission accomplished!